Souffle? Really? Isn't that, like, super hard? Actually, it's not that hard, it just requires a little attention to detail. It's a lovely way to do something nice for yourself or for your sweetie. You're worth it! I'm incredibly lucky to have met a wonderful couple who hosts a Valentine's dinner for a group of couples and singles. Everyone brings school-style valentines or other sweets and treats for all, bringing back the warmth and love I think the holiday should be about. But most people are left to figure it out for themselves, producing a lot of anxiety. Why not make a special meal at home? This recipe is for one or two people - a meal for one with a salad or a meal for two with a salad and another side. It should take about 20-25 minutes to prepare (once the eggs are room temp) and 20 min to bake. Once you put it in the oven, don't open the oven for the first 15 minutes. If you open the oven before that, it will fall. And even if you do mess up on one of these fronts, you'll still have something delicious to eat. It might not be Instagram-worthy, but this is about doing something nice for yourself. You can rarely go wrong flavor-wise with eggs and cheese. Note: it's best to grate your own cheese, but you can buy the pre-grated stuff if you like. Just give it a quick chop with a knife before mixing it in, since the industrial-size shreds are usually a little longer than the ones you make at home. 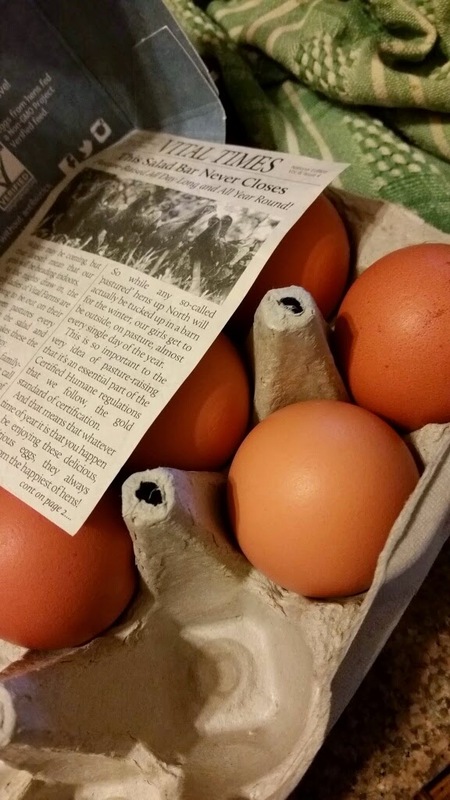 I hope you'll splurge on some nice pastured eggs from a good market or a farmer's market. They really taste better, and eggs are the star of this dish. You may even get a cute little newsletter about what the chickens are up to. Regular eggs are fine if that's not in your budget right now. It's an indulgent kind of day, so why not choose the old-school way of warming them up and take a bath or binge-watch a couple of episodes of Miss Fisher in the meanwhile? When the eggs are room temp or as close as they're gonna get, pre-heat the oven to 425 degrees and get started! 1. 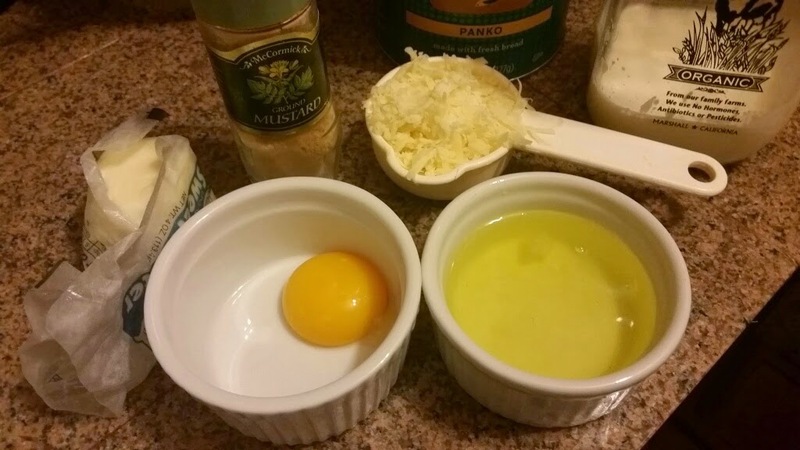 Prepare two 4 to 6 ounce ramekin(s) or one 8 ounce ramekin. If you don't have them, they're sold everywhere from Target to Sur La Table these days. 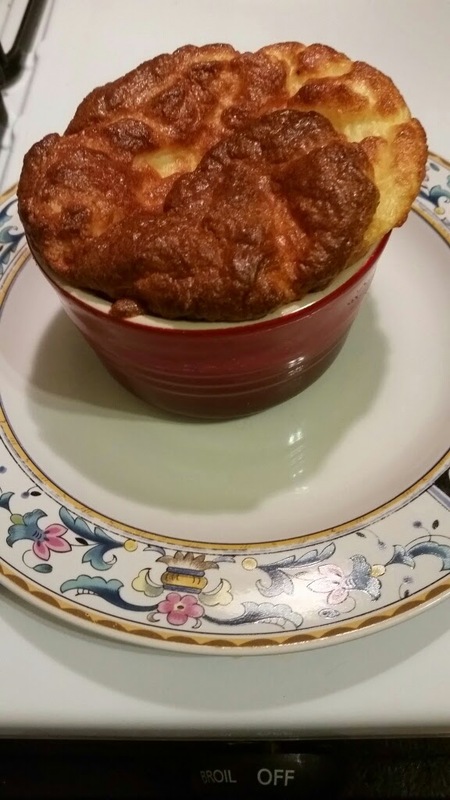 If you never make a souffle again, they're handy for lots of other things. They should be at least 2" tall. 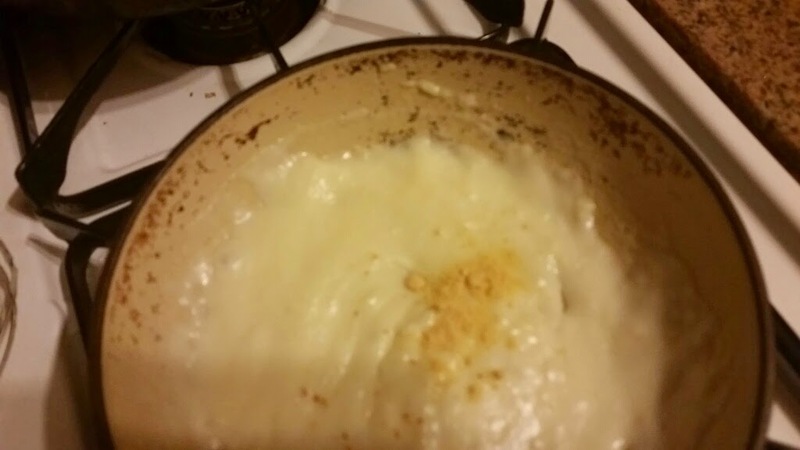 Rub 1/2 tsp of the butter into each, then put 1/2 Tbsp bread crumbs into each. Roll the ramekin around until the bread crumbs coat the inside fully, then shake out any excess. 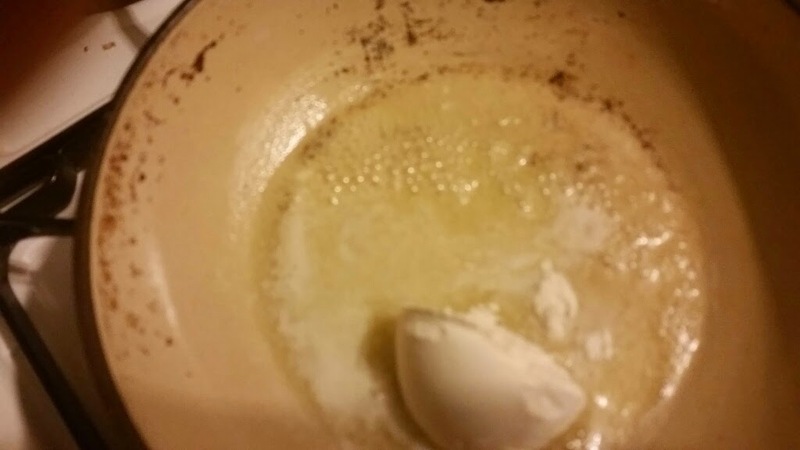 2, Melt the remaining 2 tsps butter over medium heat in the smallest pan you have. It'll probably be bigger than this one. If you're in doubt about the heat, make it lower since it's such a small amount. 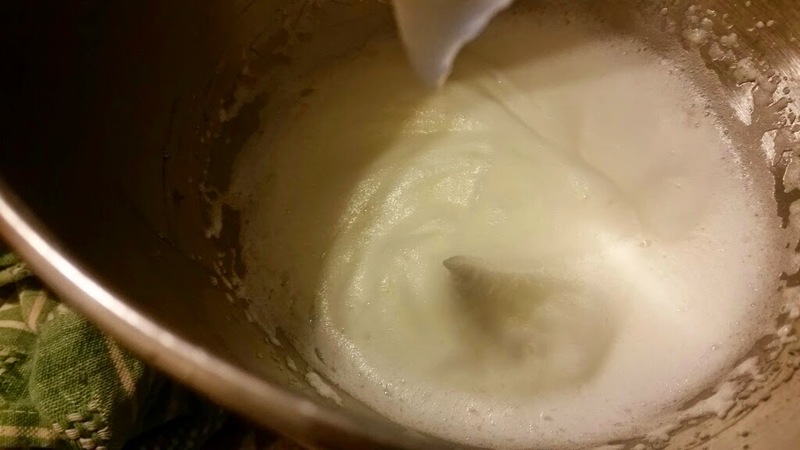 When it bubbles, add the 1 Tbsp flour and start whisking immediately. 3. 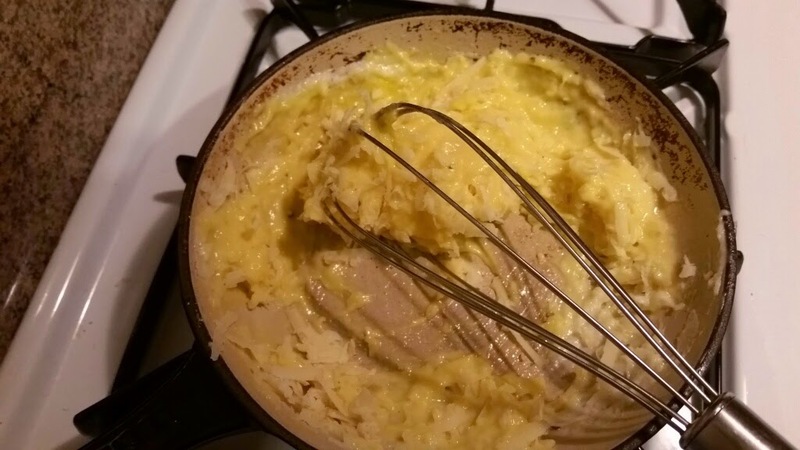 Whisk and cook for about a minute, until it's smooth and a little bit gold-ish. What you have now is a roux, which is the basis of a whole lotta dishes from gravy to gumbo. 4. Add the milk - it'll look lumpy for a second or two. 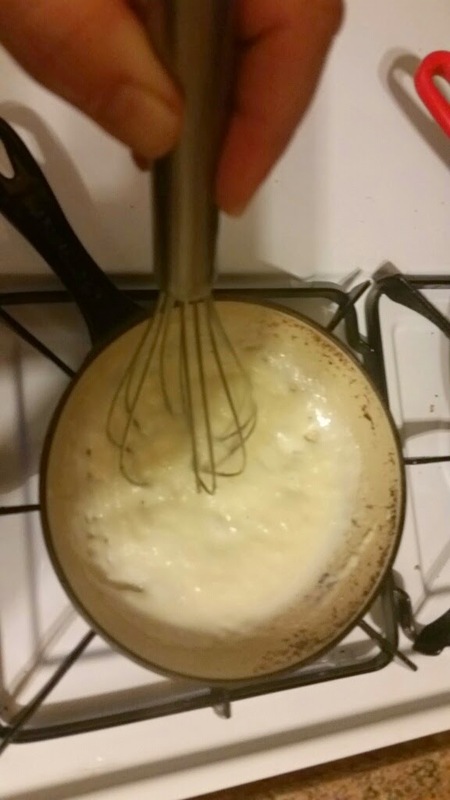 Keep whisking quickly until it's smooth and thickened. 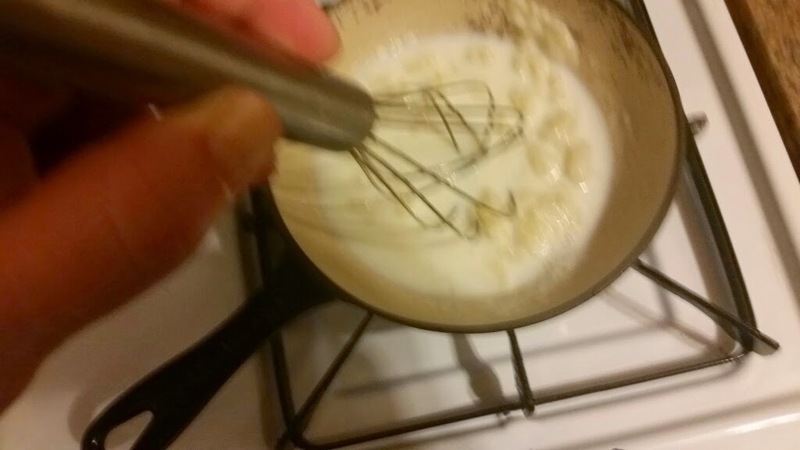 Apologies for the blurry photo - whisking while snapping pics is not so easy! 5. Voila! Now that it's smooth, take off the heat, add and stir in the nutmeg or paprika, the dry mustard and a pinch each of salt and pepper. 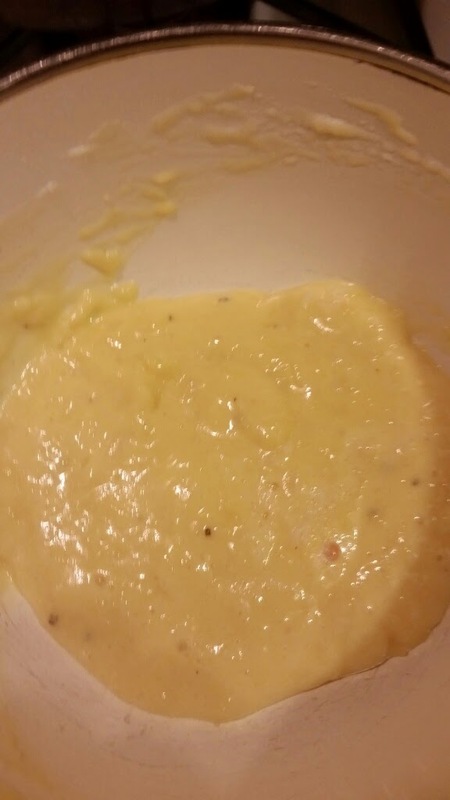 This is now a bechamel or white sauce. Did you know you could make that? 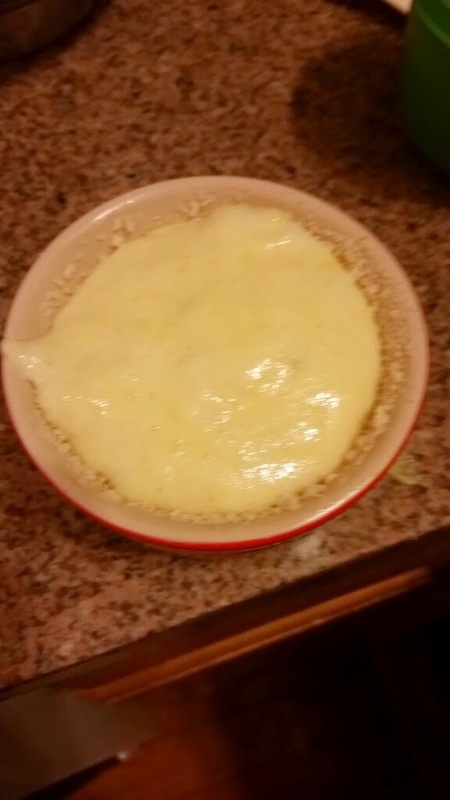 Let it cool for a couple of minutes before you stir in the yolk and cheese. 6. When it's still warm but no longer hot, add the egg yolk and whisk really quickly so it doesn't have time to scramble the yolk. Add the cheese and stir until smooth. 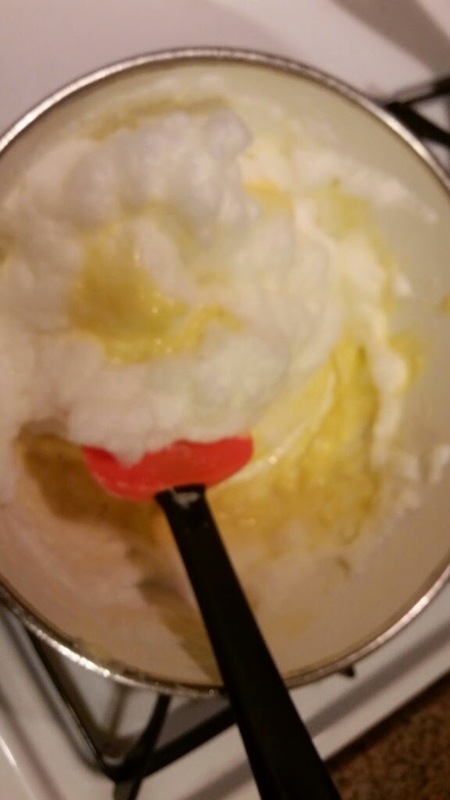 Transfer the cheese mixture to a medium bowl. 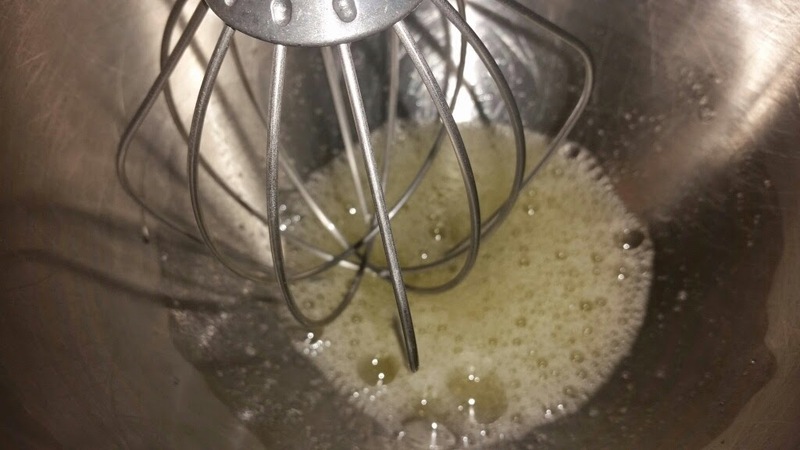 It'll look a little ragged like this, but whisk a little longer until it's smoother. 7. 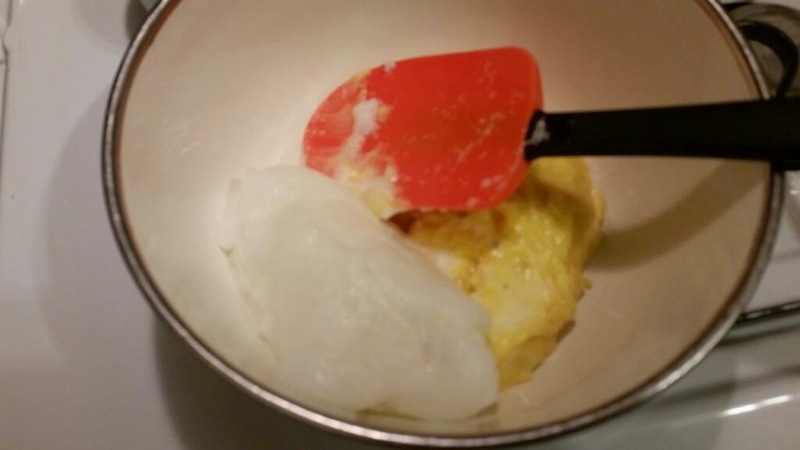 Put the egg whites into another bowl or the stand mixer bowl. 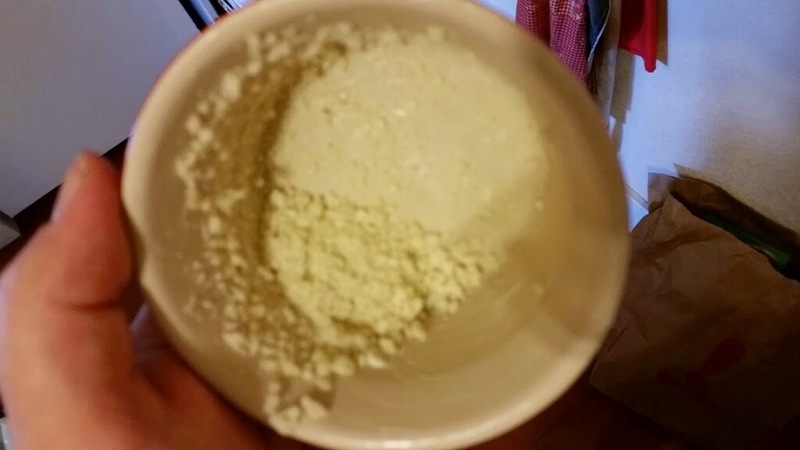 Beat on medium until they get frothy like this, one minute or so depending on your mixer. Then turn it up to high and beat another minute or two to stiff peaks. It's at the stiff peaks stage when you pull out the beaters and the tip of the whites that pull up don't flop over. See the nice stiff peak below? 8. Fold the beaten whites into the cheese mixture. Start by folding in 1/4 of the whites at first to lighten it, then add the rest and fold gently until it's all a consistent color with no white streaks. 9. Pour into the prepared ramekin(s) and bake on the middle rack of the oven, 20 minutes. If you needed the second ramekin but only want one, you can refrigerate that, then let it come to room temp before baking tomorrow. Remember, don't open the oven for the first 20 minutes!! I'm lucky to have a functioning oven light so I can peek through the window. The outsides will be a nice dark brown. This one puffed over a little bit rather than up, but it's still light and lovely inside. Serve immediately and pat yourself on the back. 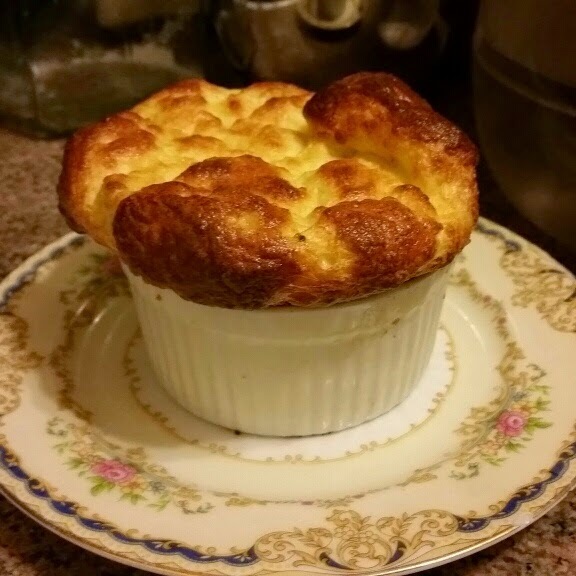 You have conquered the legendary souffle! Yea! You made soufflé. Another tip to bring eggs to room temperature quickly, is to put them in a bowl of warm water for 5-10 minutes. Thanks! That makes it much easier on a weeknight.